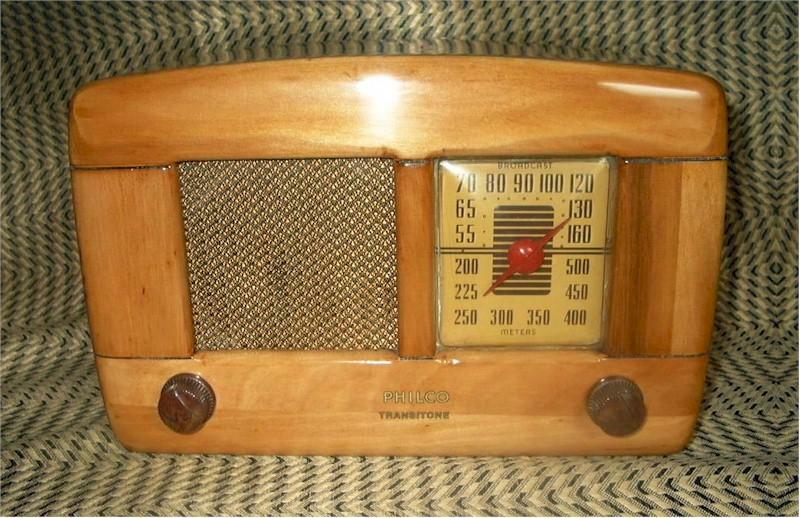 This is a very rare version of this Philco model. A solid lite colored Walnut case with arched top and curved sides (no veneer). Very striking color. A Broadcast band radio that has exceptional sound. The gold colored dial contrasts nicely with the case and is very attractive when lit with the red dial pointer. Five tubes with a built-in loop antenna give it great selectivity, sensitivity and tone using a 5" electrodynamic speaker. Just one very attractive Philco. View my restoration process for more information. 11"W x 7"H x 7"D.
You are visitor number 4,259 to this page.